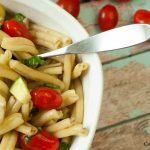 Easy Pasta Salad Recipe - Perfect for Summer! 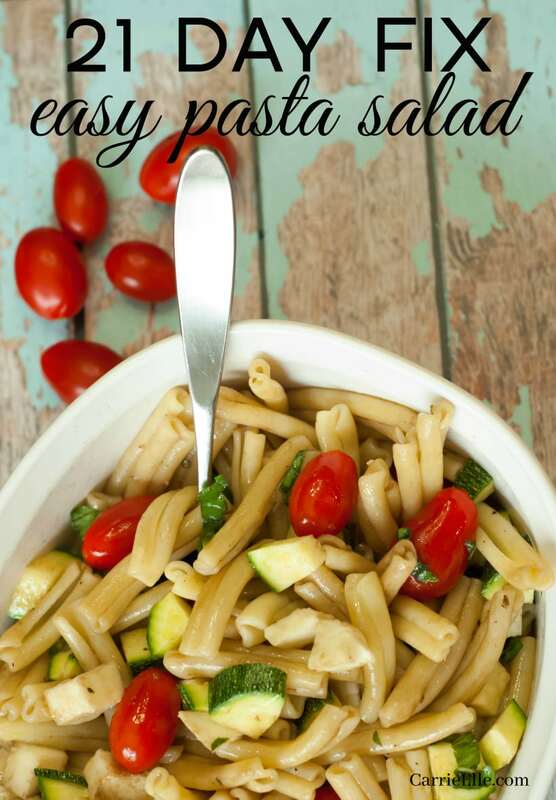 Updated: I’ve added 21 Day Fix container counts to this pasta salad! You can find them at the bottom of this post. Lately, I’ve been craving pasta salad. Something about cold, carby pasta drenched in olive oil has just appealed to me. Of course, I’m on a diet…so that kind of puts a damper on things. But since I’ve been incorporating whole foods into my diet, I totally justified making pasta salad by making organic pasta salad with all whole foods. BOOM. I literally threw this together with ingredients I had on hand (actually, it was inspired by the zucchini, because I needed to use it) and had the whole thing prepared in just a few minutes. I wasn’t planning on blogging about it, but since it turned out so pretty and tasted so good I had to snap a few photos…and it would be a shame not to share this easy pasta salad recipe with the world. I should say here that when it comes to “cooking” (can you call preparing pasta salad cooking? ), I am a stickler for following recipes…but when I make something myself, without a recipe, my mantra is, “It’s not rocket science!” I tend pour in olive oil and shake salt and cut up veggies like a mad woman, leaving a trail of destruction in my wake, and hope for the best. So the instructions below are really more guidelines than hard, fast directions. Easy to make, easy to eat, and healthy, too! Oregano I used dried, but I'm sure fresh would be better! Once cold, add the tomatoes, zucchini, basil, oregano (to taste) and mozzarella. Pour in olive oil (I like to use just enough so that all of the pasta will be coated but it's not pooling in the bottom of the bowl) and the balsamic vinegar (two tablespoons or so). If in doubt, go easy on the olive oil and vinegar and just add more after you've mixed everything. Toss everything together, and add more oil as necessary. This is when I tasted it and decided on a little more balsamic. I also added some salt and pepper at this point. Cover, and put back in the fridge so everything can chill. The fresh basil really made this dish, so if you can, use fresh basil. Also, maybe splurge on the mozzarella. This is the perfect dish for summer get-togethers and would be perfect for potlucks, too. What’s your favorite go-to dish for summer? I have a feeling this is going to be mine! I think you will really like it…it doesn’t take long to make, and you could easily double it to feed a larger crowd! Super easy, and it was a hit! It didn’t last long. Yummy! We’re always looking for dishes like this to give the players at the softball fields. Love the fact that this is so easy! Yummy and easy! That’s the kind of food I can get behind. Easy is about all I’m capable of! I just got lucky it turned out so delicious, too. Thank you! I plan on having it a lot this summer! 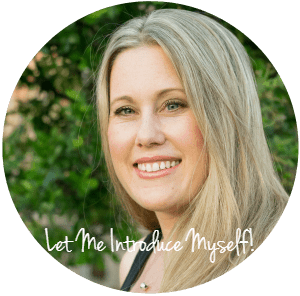 I just pinned…gorgeous photos Carrie! I used up zucchini today too! My husband will love this. The recipe looks quick and easy…and who does not Ike pasta. I love it!!! Carrie this is a fantastic salad – easy to make and I know that not only me but also my husband would love it! Let me know if you make it! We actually made it again this week, but we used dried basil and added grilled corn…it was surprisngly sweet and tasty! Looks like a lovely meal for summers evening. Thanks for linking up to Sweet and Savoury Sunday, stop by and link up again. Have a great day!! This recipe is completely up my alley. I love it, each ingredient. Seriously. Totally pinning and already pinned to the SITS board, too! Thank you!! I love all of the ingredients too…I could probably live on mozzarella and olive oil. This pasta salad looks so delicious!! It is SO good! Definitely worth making. Thanks for sharing this delicious recipe at the Say G’day Saturday linky party. I’ve just pinned your post. You had me at pasta! Yum, this looks delicious. I’m going to pin it so others can try it too. Thanks Kellie! It was so good. Thinking I need to make it again! 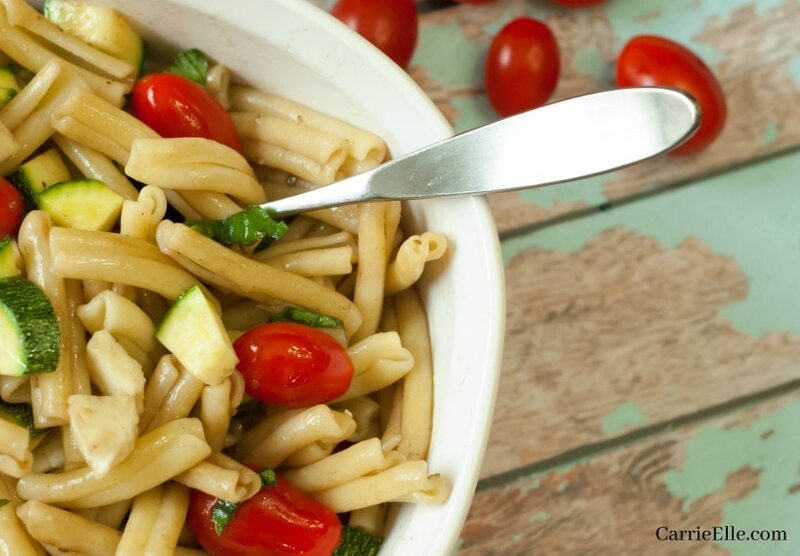 Simple fresh and delicious pasta salad! Thanks for sharing your recipe at the #HomeMattersParty this week. Thanks for sharing at the #InspirationSpotlight party @DearCreatives Pinned & sharing.